This necklace from Gucci's Icon collection presents a beautiful bouquet design. 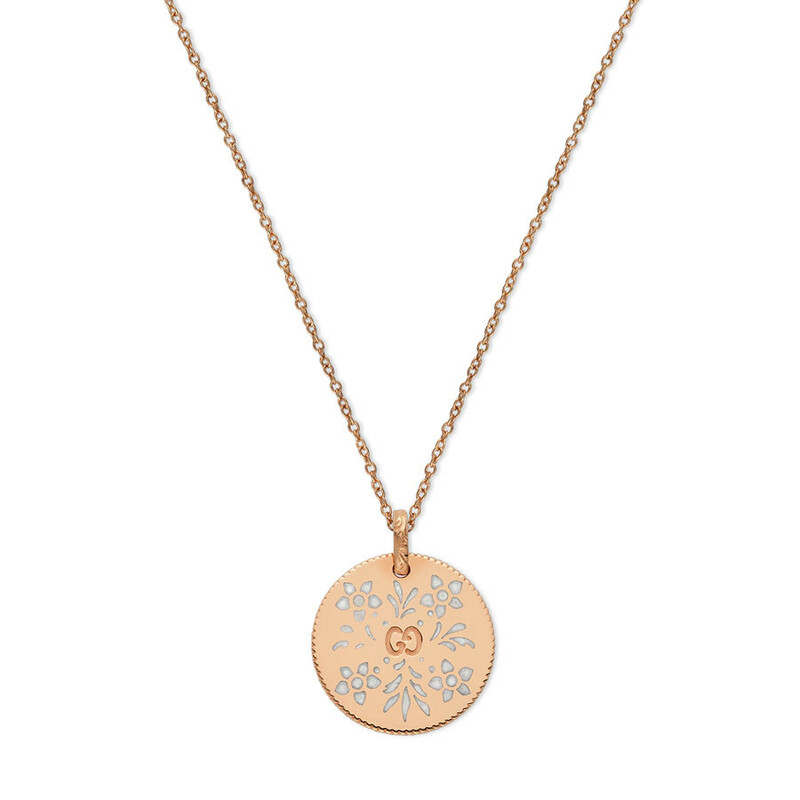 Crafted in 18K rose gold, its pendant has a white enamel engraved blossoms design that's decidedly feminine. The disc is supported by an engraved bail, which floats on an adjustable precious metal chain that features a clasp closure. This Gucci pendant necklace displays all the distinction associated with Made in Italy.